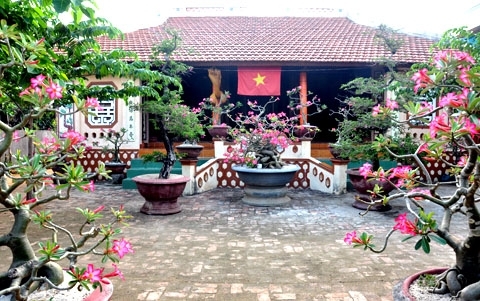 Homestay tourism is not new in Vietnam but it is now being offered for the first time in Ca Mau, the country’s southernmost province. The rustic scenery and tranquility immediately impressed the visitors from the north. It was already late noon so everyone is hungry. A steaming tray was served. 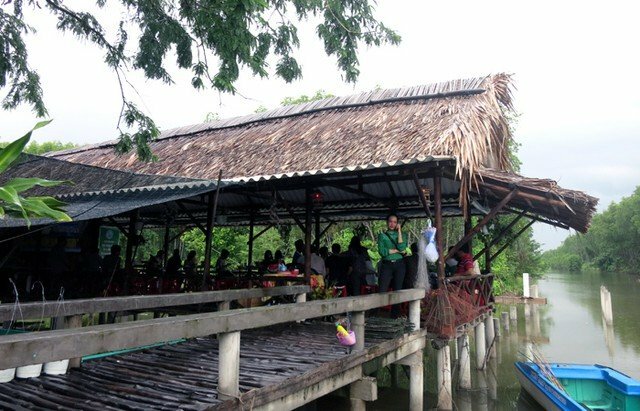 In the hut amid water, we enjoyed famous specialties of the southwestern region like grilled thoi loi fish, clams fried with bon bon wild vegetable, len snails fried with coconut jam, ngat fish soup, flower hot pot… with homemade fruit wine. The way farmer Nguyen Van Nhuan welcomed tourists is so warm, as distinguished guests who have not been seen for a long time. During the day, he helped people fish, spread nets, catch crabs, eels and thoi loi fish, and cook rural dishes. At night, he took them to the field to catch ba khia crabs. Returning home, visitors listened to don ca tai tu (southern music) and slept on hammocks. Nhuan, 58, was a veteran and then a farmer. In 2013, the Swedish International Development Agency (SIDA) chose five households, including his family, to implement the model of eco-tourism and community tourism. In July, his family welcomed the first guests. The family serves 50-70 visitors per day. The biggest group of tourists Nhuan served was 200. As of October 2014, his family has had nearly 5,000 visitors. After over a year, the family earned more than VND300 million (US$15,000) of profits, 10-fold higher than earnings from farming. This model also created jobs for tens of local laborers. 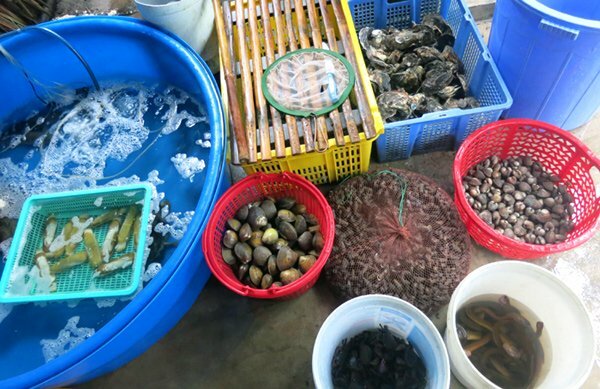 Nhuan used profits to buy five more boats and build more huts to expand his services. A house in Long village. Mr. Pham Thanh Binh (right) with tourists. In the north, Mai Chau Homestay Family that is favored by foreign tourists. The owner of this model, Pham Thanh Binh, is a writer. Mai Chau Homestay Family offers 2-4 day tours for those who want to experience nature, culture and the true life of local ethnic people, especially the Thai Trang (White Thai) ethnic group in the beautiful land of Mai Chau. 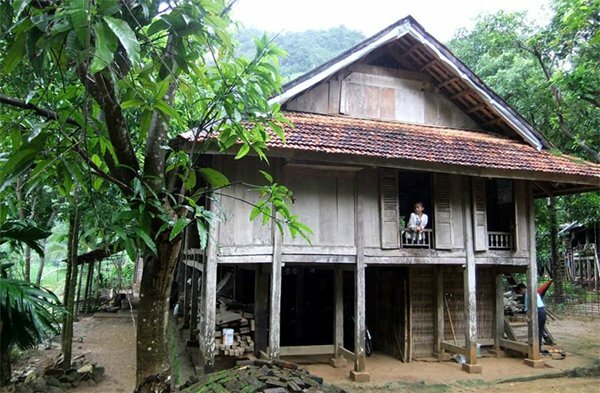 Binh said five years ago, he began taking foreign tourists to his adoptive parents’ house in Long Village, Mai Chau, Hoa Binh province. 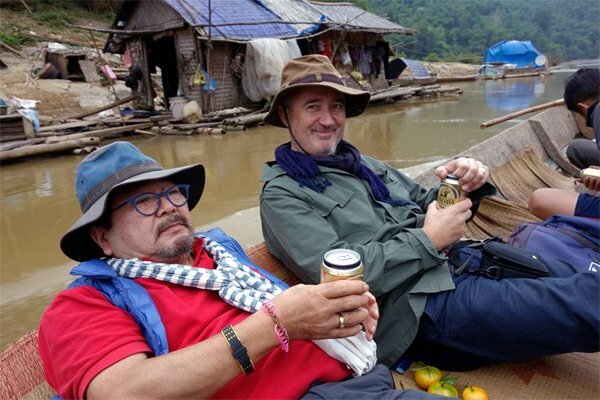 As foreign tourists were fascinated with having bath in spring, spending overnight in the village and discovering local nature, Binh thought of a model of community tourism. Tourists on a boat in the Ma River. After conducting research, Binh worked with local people to form Mai Chau Homestay Family. He now has four houses-on-stilts to serve 30 visitors at the same time. Sometimes Binh guides tourists to ride motorcycles around the Northwest villages. In Mai Chau, Lac village has long been famous for the community tourism model, but it has been commercialized. The village of Long still retains the original culture of the White Thai ethnic group. The village has 120 households, warm water streams with two waterfalls, and many 30-40 year-old houses on stilts. Visitors can ride a buffalo, do farm work with villagers, go cycling, bathe in the waterfall, and enjoy local music at the price of just US$20/person/day (including three meals). Binh shares 50% of the profits with the villagers. Binh is planning to establish an eco-resort here. With the great potential of the landscape and historical and cultural values, such community-based tourism models should be able to attract more tourists. Tran Xuan Truong, from the Department of Culture, Sports and Tourism of Ca Mau, said the province welcomed only 1 million people a year. Truong said the distance is 53km on a canoe from Nam Can to Dat Mui. The cost for fuel for a canoe to carry 10 people is up to VND2.5 million (US$120)/trip. 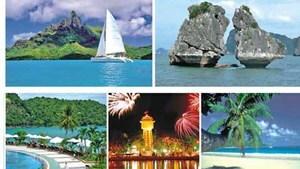 As the traveling expense is high and the traffic is difficult, the local government does not advertise tourism services. However, oil prices have fallen sharply and the last bridge on Highway 1 to Ca Mau has opened, which will help clear hindrances to enable more tourists to experience exciting tours to this southernmost province. Binh said he was upgrading and expanding his facilities to welcome more tourists to Mai Chau.